Zeocare is a form of a Powerful Natural Detox Zeolite Supplement Powder known as Clinoptilolite which is of volcanic origin. Zeolites are volcanic minerals created when volcanoes erupt and molten lava and thick ash flow into the sea. Zeolites are formed as a result of a chemical reaction between the ash from the volcano and the salt from the sea. These Zeolites are then encased in the hardened lava for millions of years. Mining is the only way to capture free natural zeolites. Zeolites have the rare distinction of being one of the few negatively-charged minerals found in nature. Natural Detox Zeolite Supplement possess a very unique structure with large vacant spaces or cages. Being negatively charged, combined with this sieve structure allows for large positively charged ions to be pulled and trapped into the Zeolite cage. When ingested as a supplement, zeolite works at the cellular level to trap allergens, and impurities. In fact, because it is one of the few negatively charged minerals in nature, zeolite acts like a magnet, drawing impurities to be captured into its cage. Once captured impurities are trapped and removed safely and naturally from the body. For centuries, the powdered forms of specific zeolites have been used as traditional remedies throughout Asia to promote overall health and well being. Zeolite compound is a so-called “molecular sieve” made up of negatively charged honeycomb-shaped chambers. These chambers are balanced by positively charged mineral ions like potassium, calcium and sodium. The zeolite will swap its positive minerals for any positively charged impurities that it encounters. Negative attracts positive. So the zeolite’s negatively charged chambers are very attractive places for positively charged minerals and impurities. The body doesn’t absorb Zeolite, it is inert as it passes through the system. For more information we have an extensive FAQ on this subject. more…. Powdered Zeolite has the longest track record that is proven effective of all published scientific studies. Zeocare is an all Natural Detox Zeolite Supplement. 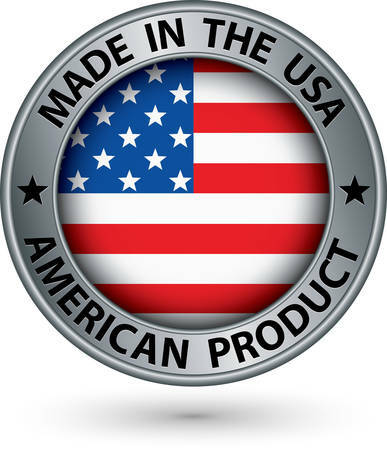 Zeocare is highly refined and has been produced, micronized, sterilized and packaged here in the United States. Our product is micronized to a fine .5 to 10 microns in particle size making it one of the most refined zeolite product on the market. Zeocare have large volume to weight ratio that a table spoon of Zeocare product average 3.5-4 grams vs. 5 grams when compared to other products. It is simply a lighter product, which means more cage space and surface area per gram of product. Increasing the actual surface area per equal amounts of zeolite is the essence of the capturing power, making Zeocare a truly superior product. We focus on the volume vs. weight aspect of the product as we truly believe it provides more accurate representation when evaluating product’s properties. We employ a highly guarded micronic and activation processes to produce zeolite particles that are both small enough to be easily absorbed and free of the naturally occurring biological contaminants. As a Natural Detox Zeolite Supplement, the production process of Zeocare is OMRI certified. Zeocare is guaranteed to be free of all microorganisms. We check the safety of our products with independent labs that produces toxicology report to maintain the highest level of quality control. Reports are available upon request. For General use – Take 1 table spoon once a day. For an acute health problem – Take 1 table spoon 3 times per day until resolved. Since everyone’s body and circumstance are different, please consult your health practitioner for the proper dosage based on your needs. Zeolite is a powder and it does not dissolve in water. When mixing in liquid, stir it up and drink quickly. Zeocare Can be mixed in with food. KEEP OUT OF REACH OF CHILDREN. Store in a cool, dry place with pouch tightly closed. Do not use if seal is broken. Information in this website is provided for informational purposes and is not meant to substitute for the advice provided by your own physician or other medical professional. The statements in this website have not been evaluated by the Food & Drug Administration. The statements in this brochure are not intended to diagnose, treat, cure or prevent any disease. If you are pregnant, nursing, taking medication, or have a medical condition, consult your doctor before using this, or any other supplement. If you have a bad reaction to taking this product, discontinue use immediately. Zeocare is not available in California.